The Turn of the Screw opens on Christmas Eve with a group of guests sitting around a fire listening to a story that is said to be, 'gruesome, as, on Christmas Eve, in an old house, a strange tale should essentially be'. 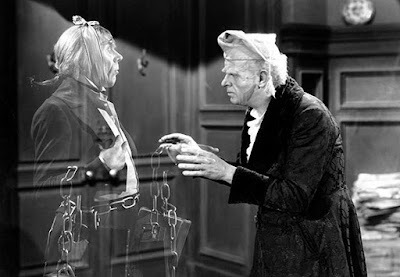 So when in 1843 Charles Dickens wrote A Christmas Carol – in which Scrooge is tormented by a series of ghosts on the night before Christmas – he was building on an age-old custom. However, it was one that he and other Victorians did much to consolidate and commercialise. 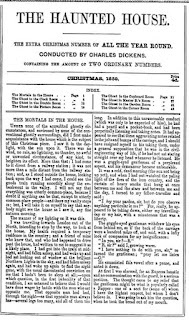 The Christmas issues of the magazines Dickens edited (Household Words and All the Year Round) often included ghost stories. Indeed, it's believed that it was the rise of the periodical press that released the ghosts. 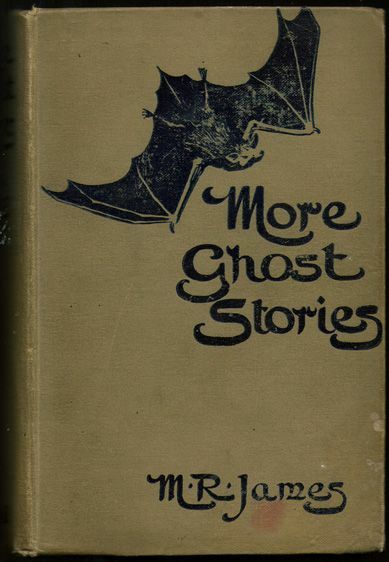 Publishers wanted short, cheap, generic stories that could pull an audience, and ghost stories did just that. 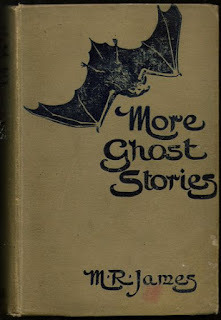 The best known of the 19th century ghost story glut are perhaps the stories by Sheridan le Fanu, Wilkie Collins, Elizabeth Gaskell and of course the masterful M R James, whose Lost Hearts was published in 1895, but there are many, many more. Ghosts also proliferated on the stage, in spirit photographs and in drawing room séances. It was in 1848 that the Fox sisters heard the rappings they claimed were spirit communications, and so spiritualism began. After the turn of the century, some of the ghosts floated from Christmas to Halloween, influenced by the US where Scottish and Irish communities brought with them the customs of Samhain. As late as 1915, Christmas annuals of magazines were still dominated by ghost stories. However, by the middle of the century the magazine ghosts had mostly been sidelined in favour of consumerism and wholesome cheer. But, in England at least, the Christmas ghost story has never really gone away. It has lingered in our fiction, our TV, our theatre, our storytelling. 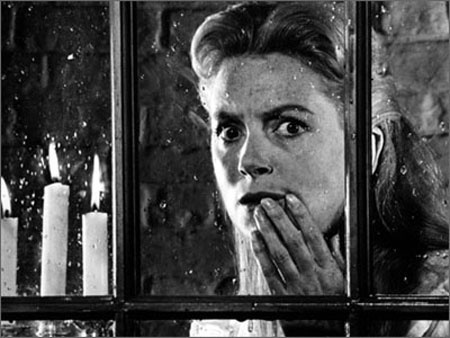 Like The Turn of the Screw, Susan Hill's The Woman in Black begins on Christmas eve. Other Christmas ghost stories of the 20th century include those by Edith Wharton, JB Priestley, L.P. Hartley, Algernon Blackwood, Robert Aickman, Stephen King and Robertson Davies, whose High Spirits is a compilation of the ghost stories he told at his university's annual Christmas party. Andrew Taylor's Fireside Gothic features a brilliant story in the style of M R James that takes place over Christmas. The title story of Tom Cox's Help the Witch is set during the Christmas period. 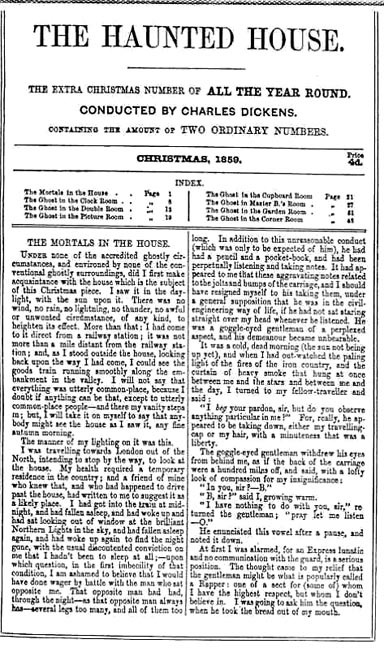 Adaptations of M R James’s and Dickens' ghost stories have been aired on British TV and radio over Christmas since broadcasting began (with people such as Mark Gatiss injecting new energy into the tradition), and ghosts have had a habit of making appearances in Christmas specials of various series including Downton Abbey, The Bill and, apparently, Bergerac. Many people say that they still read ghost stories on Christmas eve, either alone or with their families, and many attend live storytelling events in churches, graveyards and haunted halls. My entirely unscientific research suggests that the Christmas ghost story is on the up. There seems to be a surge in ghost story events this year, with storytellers serving hot toddies and chilly stories across the UK. Professional storyteller Kirsty Hartsiotis says, 'ghost stories are part of my stock in trade at Christmas time - people want them more now than at Halloween, in recent years'. This perhaps ties in with the rise of the Gothic and the supernatural. Witches and vampires have been swooping across our screens and a host of Gothic and ghostly novels have been published in the past year (Melmoth, The Corset, A House of Ghosts, House of Glass, The House on Vesper Sands, The Lingering and my own novel The Story Keeper to name but a few). November saw the release of Vanessa Lafaye's Miss Marley: A Christmas ghost story - a prequel to A Christmas Carol. In troubled times, we reach out for the fantastical. I for one would far rather be telling ghost stories to my family on Christmas eve than scrambling to wrap up their presents. Perhaps this Christmas I’ll try replacing Home Alone with The Haunting of Hill House and see if anyone notices. Anna Mazzola is a writer of historical crime fiction and Gothic fiction. Her second novel, The Story Keeper, is out now. Oh yes, I love a ghost story at Christmas! We often set out the mince pies and booze, turn out the lights and watch a recording of one of the BBC's superb adaptations of M R James' stories, or Dickens' The Signalman -- or the old black and white film, The Queen of Hearts. There is a folklorist theory that Christmas Eve was, originally,the night when we remembered and honoured 'our returning dead.' It's not Santa those pies and brandy are left out for -- it's your ancestors. I'm all for "The Haunting of Hill House" ... just don't ever leave out "It's a Wonderful Life"! !